22 years after Dunnamaggin's greatest day, the game in which he made his senior debut for the club, Noel Hickey is still patrolling in the fullback line. It was 1997 when aged just 16 Hickey was dropped into the Dunnamaggin defence alongside his two brothers for the Kilkenny senior hurling final against a Young Ireland's team featuring DJ Carey and Charlie Carter. Dunnamaggin won the game and their only Kilkenny SHC title. In between then and now, Hickey won nine senior All-Ireland titles as a key man for Kilkenny and Brian Cody. The club has also taken many steps down and back up the grades in the county. 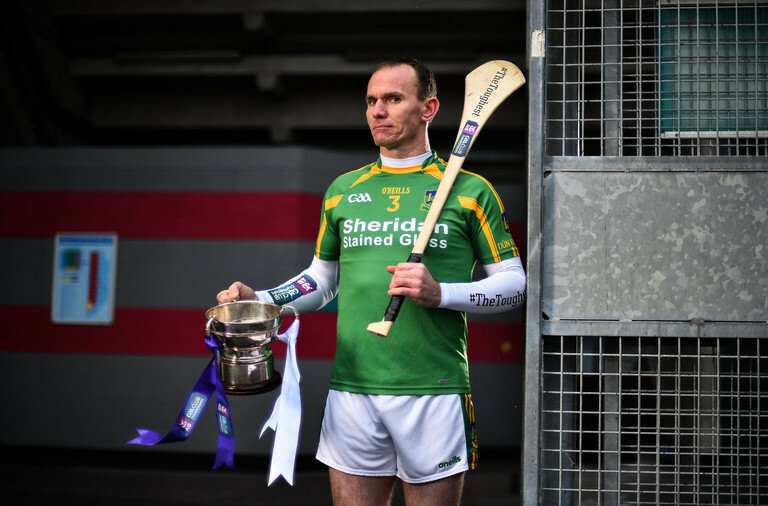 This weekend comes some medicine for the pain of being relegated from intermediate level in 2017: In the AIB All-Ireland Junior Club Hurling final, Dunnamaggin face Monaghan and Ulster champions Castleblayney. "It probably went over my head a bit," says Hickey of that 1997 final. "I probably didn’t appreciate it as much [as I should have]. "We won the county junior final last year and it wouldn’t be as prestigious as the senior but to be honest with you, it meant more to me when the final whistle went. "I kind of appreciated it with the club going bad the last few years. I appreciated it more than the senior one; I was just so young, I went out and played the match and that was it." That drop down to junior felt like a disastrous occurrence for the club at the time but they have used it as fallow ground to rejuvenate their prospects. "You think you’ll never get over it but when the new year came around and we had a good few younger lads join the panel, they brought a bit more energy and a bit of a buzz to it," says Hickey. The goal was to win a county final and we did that - it lifted the parish. One day you’re down after relegation and it’s the worst thing, now we’re in a great place with the club at the moment. Underage is going well too. This year we had probably six or seven young lads come along who were all good hurlers. When you have new lads coming in, it does make a difference. Whereas, maybe, five or six years we were tight on numbers. Even at the moment on the St. Kieran’s school team, I think there could be six lads on the panel [from Dunnamaggin]. There were maybe five starting on it. Before, with a parish like Dunnamaggin, if you had one lad on the Kieran’s team, it would have been a good achievement. A farmer when he's not on the hurling pitch, Hickey actually missed the Kilkenny junior final win against Piltown in October. Seeing a young player take his place in the team gave the veteran solace. "I was injured for the county final and lads were saying I must have been so disappointed missing it, but to be honest I was actually calm enough. Because if I wasn't playing I was giving a chance to someone else. "A lad who was 19 years of age played instead of me. For him to get out there probably meant more to him than it would to me, to get out play in Nowlan Park. I was after doing it a few times. It didn't bother me not playing once Dunnamaggin won that was the main thing. I was getting a buzz from seeing young lads come on at 19 or 20." The 2012 All-Ireland final win over Galway was the last time Hickey played for Kilkenny and also the last time he played at Croke Park. He came on sub for the final few minutes of that replay win. Another day back on the Croke Park pitch is one he never thought he'd see. "I never had any time frame in my head. Every year that went by, I just hurled away. I felt I was still competing in matches. "I just thought this year, if I had something to contribute, even if it’s just as a sub or down in training or whatever, I’ll take it. I just kept at it and the body is fairly good, injury-wise. I’ll be old for long enough and I won’t be able to do it, while I can I said I’d keep going. "You start with the club and you finish with the club. Whereas you play with Kilkenny, it’s great to win the All-Irelands but you kind of drift away from a lot of players. "With the club, you’ll be there in a year’s time, ten years’ time - whatever. Hopefully, we’ll look back on this and it’ll be a day we remember in the parish."